ding productions has created more than fifty unique shows, some of which are represented below. 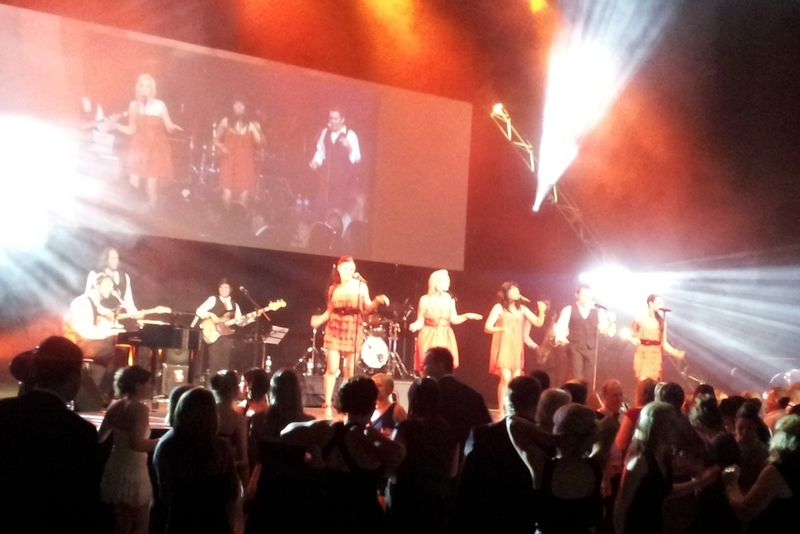 Each original show has been created for corporate events, festivals and/or touring. ding's corporate shows include five minute spectacular floorshows which open an event to twenty minute headline acts. ding also creates full length stage productions for festivals and ticketed events. “Fusion” is a uniquely designed live performance with animation and LED projection. Includes spectacular interaction between artist and imagery. A 3D digital innovation where installations are brought to life in a presentation of dance and motion. Blending classical violin with pop, voice, dance, pole artistry, acro and rope aerial. Steampunk inspired costuming creates a monochromatic illusion. 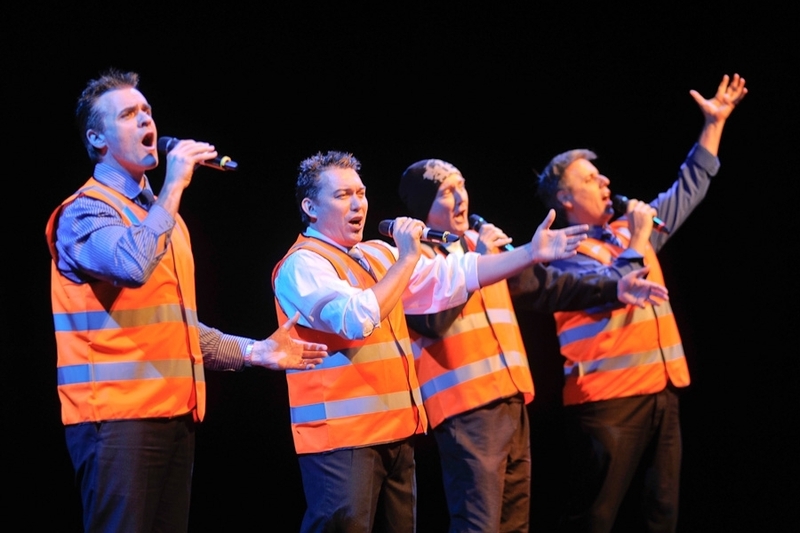 A well dressed foreman enters stage and addresses the audience as if to begin a safety induction, but instead leads a brilliant vocal performance. Journey into a fantastic world of cirque-pop-dance-acro like no other. Funhouse combines the unique music from Cirque du Soleil with pop and rock. Hullabaloo is dance theatre at its best! This charming, frenetic and theatrical floorshow combines acapella rhythms and animated tap dance. A sizzling floorshow with Gatsby styling set during the time of prohibition. Seductive illusion, live music and soaring vocals merge with burlesque and dance in a thrilling feast for the senses. ILLURE draws you in to a spectacular world of fiction and escape. Queen and Led Zeppelin classics stripped bare and acoustic in this stunning Rock Cabaret. Mouth watering voices present a deliciously entertaining show! Inspired by the musical movies of the Golden Age of Hollywood. Captivating. Sensual. Empowering. Seductive. A mass of gorgeous bodies fill the stage costumed in iconic Parisienne style costumes. One of Australia's finest show bands presenting high end party tunes with visual flamboyance and a sound quality that no-one can deny. This sci-fi fantasy is brought to life with a spectacular orchestral soundtrack and a visual feast of futuristic characters, reptilian aliens, space age fashionistas and a Gaga-esque pop diva. The haunting vocal sounds of "The Lion King" fill the room emanating from six tribal folk ruled by their powerful, majestic leader. Vocal cast is accompanied by spectacular masked dancers. High energy mischief fills the stage as these wayward pirates and their Pirate King present a medley of fabulous, well loved music from Gilbert and Sullivan’s “The Pirates of Penzance”. This stunning Christmas production includes a sparkling selection of well-known songs reminiscent of the Golden Age of the silver screen. Read more about ding's TAILORED PRODUCTIONS by clicking here.